While ESPN subscribers again fell, Iger has high hopes for the company's future, especially with their forthcoming OTT service. Walt Disney Co reported lower-than expected quarterly revenue and profit on Thursday, dragged down by a poor performance at its cable business, including a drop in subscribers at ESPN. …Revenue from Disney’s cable business, which includes ESPN and Disney Channel, fell marginally to $3.95 billion in the fourth quarter, while analysts on average were expecting a rise to $4.06 billion, according to Thomson Reuters I/B/E/S. ESPN, Disney’s cash-cow, has been trying to combat subscriber declines by joining smaller bundles of cable channels and developing a streaming service it will sell directly to consumers. …Disney’s total revenue fell to $12.78 billion in the quarter ended Sept. 30 from $13.14 billion a year earlier. The full Disney release on their earnings is here (PDF). It mentions that cable networks operating income “decreased $15 million to $1.2 billion for the quarter due to a decrease at Freeform,” and that at ESPN, “higher programming costs and lower advertising revenue were offset by higher affiliate revenue.” Some of that lower advertising revenue is thanks to less political advertising versus 2016. There were other non-sports losses, including the impact of Hurricane Irma on Disney World. Equity in the income of investees decreased to $10 million from $150 million due to higher losses from BAMTech and Hulu and lower income at A+E Television Networks (A+E). The BAMTech results reflected a valuation adjustment to sports programming rights that were prepaid prior to our acquisition of BAMTech and increased costs for technology platform investments. 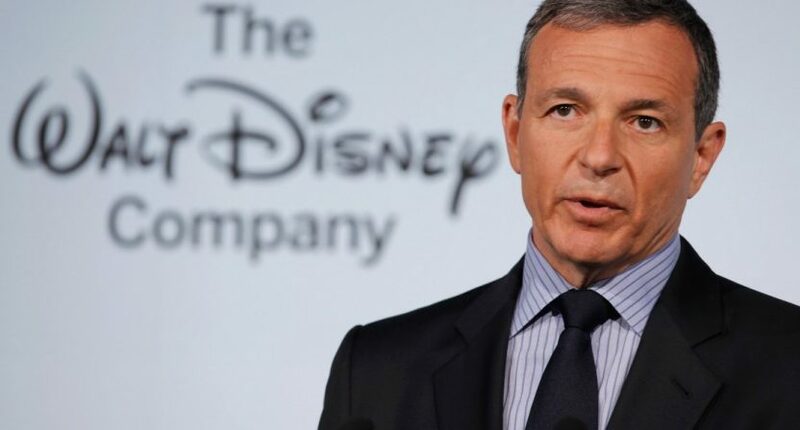 On Disney’s earnings call Thursday afternoon, CEO Bob Iger mentioned that ESPN subscriber losses weren’t as steep as in prior quarters, although he did add that they can’t take too much from a small sample size. “We’re heartened by that as well, but it is one quarter,” Iger said. Iger said some of that is driven by additional subscribers through over-the-top streaming TV services, and he’s been impressed with the aggressive advertising approach some of those services have taken, especially when it comes to sports events. On the OTT front, Disney is set to launch their own direct-to-consumer ESPN product soon, with Iger saying that the new service will be called ESPN+ and will be launched in Spring 2018. That will be followed by a Disney-branded streaming service in the back half of 2018, which will contain both existing and new exclusive Disney, Marvel and Star Wars content. Iger said that those products are the highest corporate priority heading into 2018. Something else Iger was happy with was the boost from examining Nielsen total viewer data for a couple of weeks, which considers streaming services, out-of-home and non-traditional viewing, mobile viewing and more. He said that provided ESPN with a major advantage compared to traditional ratings, boosting their ratings 25 per cent in total day, 29 per cent in prime time. Iger said that isn’t necessarily surprising, but it’s advantageous for ESPN to be able to show hard data on what they gain from out-of-home viewing, and that leads to an overall positive view on ESPN’s business.